wikimedia commons/The prophet. Some rights reserved. A recent Economist article “What’s Gone Wrong with Democracy” is chock-full of photographs of discontent from places in revolution—Ukraine, Greece, Egypt—and statistics and figures showing abysmal election participation and government approval rates in the west: the US, the UK, Italy and France. It mentions in passing some efforts at reform in Finland and California, but it misses a subtle change in citizen perception of experts and politicians. This change corresponds with a revival of an ancient definition of democracy. Other reforms in the 'decree' are strict term limits for the Citizens’ Assembly and the Assembly of the Wise (Senate), two two-year terms and two four-year terms respectively. Furthermore, nominations to the Senate must first be approved by a simple majority of the randomly selected Citizens’ Assembly. Their recommendations, then, go beyond making government more representative to breaking the separation between governors and the governed. With such short term limits, they argue, there would no longer be a class of politicians distinct from the citizenry. The original text (in French) of the decree can be found here. A partial translation here. One might assume the impressionable youth were under the spell of the charismatic, immensely popular Étienne Chouard, a long-time advocate of democracy through the use of lots and referenda. After all, this high school teacher-turned-net-activist’s blog has attracted over 4.2 million visitors, while his TEDx and YouTube videos add tens of thousands more. Or one might think the Belgian Youth Parliament was showing solidarity with populist MP Laurent Louis, who just weeks before (January, 2013) in a video address also made an unprecedented declaration. He dissolved the party he had created two years earlier and called on Parliament to do the same with all parties! This, he said, would leave room for a new 'Citizens’ Parliament' elected by lot. His measure was actually put to a vote, and, not surprisingly, defeated. See a video of his declaration here. Or, one might guess, they were echoing Flemish best-selling author-turned-democracy-advocate David Van Reybrouck, whose 2013 book Against Elections (Tegen Verkiezingen) quickly became a hit. It likewise urged Belgium to go beyond representative democracy and to eliminate elections in favor of “loting” - Dutch for sortition or selection by lot. He argues, based on contemporary documents (such as the Federalist Papers), that the American, French, and English eighteenth century architects of our political institutions did not have the demos, the people, in mind except as something to be feared or controlled. Government for them should lead with the 'betters' elected by the masses. According to their notions of psychology, the poor, the commoners, uneducated, non-privileged, were not fit to make important decisions, due to their presumed tendency to be overcome by passions and narrow, even mean, interests. Democracy to eighteenth century political thinkers meant instability. It was not until the time of Andrew Jackson in America, and later still in Europe, that the word “democracy” achieved positive connotations among the political class, and then no longer as “rule by the people,” but “rule by elites on behalf of the people,” i.e., “representative democracy.” Manin contrasted this with the centuries-long practices in some Italian Renaissance cities, Rome, and Athens. In so doing, he made public what was once only the talk of lawyers and political philosophers. In fact, Manin was only dissecting a corpse drawn and quartered thirty years earlier by a Berkeley political philosopher. In her 1967, The Concept of Representation, Hanna Pitkin distinguished four meanings of the word 'represent' as used by laypeople and politicians alike. To represent someone could mean simply to 'be like' her in characteristics, perhaps race, class, beliefs. It could mean to defend someone’s interests as a lawyer 'represents' a client. Furthermore, it could mean to act as her agent on specific instructions, say, like a cab driver transporting a client. Lastly, to represent could mean to act like a parent to a child, act on the child’s behalf – but often against his wishes. Because we use the word 'represent' to mean one or another or several of these ideas at once, the word itself is often of little use. Although she did not end the book by proscribing its use, few political scientists would touch it again until the time of Manin. But we don’t need a Berkeley 'hippy' or a suave Parisian to tell us how to read our American constitution! A text search of the Federalist Papers (the closest we have to a blueprint of American government) retrieves exactly fourteen instances of the word 'democracy'. All fourteen refer to it as something to be avoided, like mob rule. James Madison thought, like his English, American, or French contemporaries, that the masses were prone to passions, narrow interests, and short-sightedness. Ironically, that is what most Americans think of Congress today. A December 2013 Harris Poll (like an October AP Poll) measured Congress’s approval rating at five percent. No worries, the story returns to France. The scene was set in 2005 during the public debate over the European Constitution Referendum that first brought Étienne Chouard international fame. A high school economics and IT teacher, he posted an analysis of the proposed constitution (the Rome Treaty meant to further integrate the EU) showing that it was both anti-democratic and 'neoliberal' in tendency. He also criticized the French political class for ever putting it to a referendum, and then proceeded to further dismantle representative democracy itself as 'not at all democratic'. His blog blew up, rendering him an overnight public figure for the 'no' vote and an instant net-celebrity. Oddly enough, Chouard became a darling of both the left and the far right. His criticism of French politicians as an out-of-touch elite, unaccountable to the public, together with his call for 'real' democracy also made him immensely popular with youth. Recently, his fans sparked viral Facebook groups, literally calling themselves 'nice viruses' (gentils virus) after a comment he once made at the end of a talk. He urged citizens to become "nice viruses" for "true democracy.” The democracy he advocates is one closer to the Athenian model, with a large role for selection by lot and referenda. But all of this, however interesting, would not merit the title 'New French Revolution' if it were not for the work of two more French political theorists at two of America’s most well-regarded political science departments. Their two books in 2013 can be seen as the culmination of the critique of representative government inadvertently begun by Bernard Manin in the mid 1990s. My recent op-ed for Truthout mentioned Helene Landemore’s Democratic Reason: Politics, Collective Intelligence, and the Rule of the Many, which argued that democracy is the best form of government because it is the most 'intelligent'. A sub-argument of the book asserts that elections are not the best way to pick a large, diverse group. It tables the questions of legitimacy and fairness and focuses on the statistical aspects of a political system that make it more likely to make better decisions based on complete and unbiased information. It admittedly sets aside the issue of corruption and misrule. These issues were picked up by Jon Elster’s Securities Against Misrule: Juries, Assemblies, Elections about the mechanisms designers of political institutions have at their disposal to prevent corruption, selfishness, or imprudence by rulers. Considered by many to be the living grandfather of contemporary democratic theory, Elster is no radical. His book is endorsed by no less a conservative than Judge Richard Posner of the Seventh Circuit. Although Norwegian by birth, having written his dissertation at the Sorbonne and taught at the College de France, he is intellectually a French transplant to New York. As the title suggests, he treats various topics beyond elections, and on the cover is a Kleroterion, the stone column used by Athenians to select jurors and councilors by lot. In an article for Aeon Magazine, “The Lottocracy: Elections are flawed and can't be redeemed,” American philosopher Alexander Guerrero outlines a system of direct participation that he feels would be more in-line with the idea of democracy itself. He favours the use of lotteries to overcome the inherent unfairness and flaws of elections. Such a system of direct democracy, he argues, would be more ethical and more effective at fostering genuine deliberation and collective action. 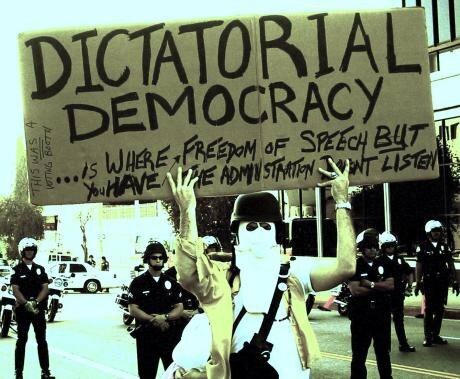 Democracy does not exist in practice. At best we have what the ancients would have called elected oligarchies with strong monarchical elements. In it, Burnheim proposes what he calls “demarchy” (after Hayek) based on ad-hoc, issue-specific, statistically representative policy juries. He represents the libertarian side of neo-Athenian thought, because the central premise of his book is that overlapping policy juries would do away with a need for a central authority at all, shrinking or eliminating the state itself. In a more 'new-agey' vein, Tom Atlee proposes similar reforms in his 2003 The Tao of Democracy. Through the extensive use of small but diverse “citizen deliberative councils” he believes society can tap into “collective wisdom” otherwise distorted by electoral politics. On experts, he quotes Francis Moore Lappé in saying that they should be put, “on tap to the citizenry rather than on top of them.” Furthermore, he favours a “sense of the magic” in the politic, a sort of consciousness version of Hannah Arendt’s political thought. The New Democracy Foundation is a non-profit supported by academics and politicians in Australia that aims to reform modern government itself. It operates from the premise that if adversarial party politics could be put to one side, people are willing to participate in government to solve social problems. Many of the reforms it advocates include the use of “minipublics,” such as citizens’ parliaments and citizen juries, first proposed by these activists and intellectuals. What all these neo-Athenians—in Belgium, France, the US, the UK, Australia—have in common is breaking the mould of the political right and left. In thinking, experimenting with, or advocating more direct or 'deep democracy', they go beyond the right’s fear that the poor will 'soak the rich' or the left’s fear that the many will oppress minorities or quash individual rights. They believe that ancient democracy can be tried again and that it can succeed in mass society, either because they see elections as useless in themselves or that something beyond 'aggregation' of preferences can happen in groups of ordinary citizens deliberating directly without the constraints and distortions of parties and elections. I have left out the names of many who have taken part in this revolution: political scientists like James Fishkin, Peter Stone, Oliver Dowlen, Brian Martin, Keith Sutherland, John McCormick; and activists like Ernest Callenbach, Tom Atlee, Rosa Zubizarreta, and others. But in honor of Bernard Manin and the bright youth in Wallonia, let’s just call it the New French Revolution. The neo-Athenian revival behind this new New French Revolution—less colourful and dramatic yet perhaps just as far-reaching as the first—seems to fit the twenty-first century’s crowd-sourced, do-it-ourselves mentality rather well. It envisions a 'we the people' directly collaborating and deciding rather than allowing others to decide on their behalf. It notices inherent flaws in elections beyond the influence of money and it sees a way out. But what do we know about the future?